There is a big difference in the oil tanks offered in the big box stores. Davis Oil uses the Canadian made Granby Oil tank. We have been using Granby tanks for over 30 years. There is a big difference in the oil tanks offered in the big box stores. Don’t fall for it! When it comes to storing your home or business’s fuel, use the best tank made. We install, remove and properly dispose of tanks routinely. This IS our business! 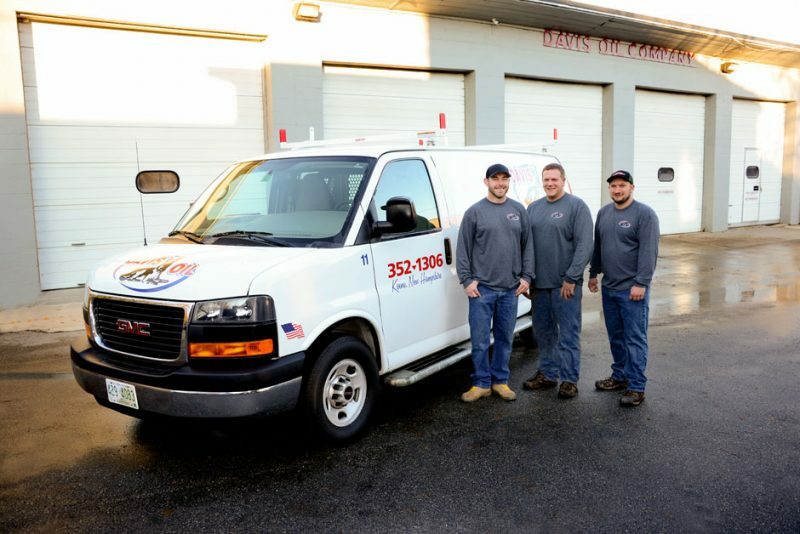 Whether your tank is in the basement/crawlspace, garage, outdoors or even buried, we can help you. When we are hired to replace your tank, we always remove and properly dispose of your old one. It is never a good idea to leave abandoned tanks behind. Our tanks are always installed on a concrete floor inside a building or on a precast concrete pad outside the building. We will custom pour a concrete pad in certain situations. The old tanks are cut in half, completely cleaned out and brought to the recycling center for scrap. Email us so we can talk to you about your oil tank installation project. We are often called upon by Realtors to assess oil tanks in homes as part of the purchase and sales criteria. We can provide a written opinion based on the current tank and a written quote to replace if need be. Nobody wants to buy or own a home with the liability of an abandoned tank or an actively used tank with questionable integrity. We can help you at a very reasonable cost — Email us! We can help you select the proper location for the installation. We will provide input on the recommended size of your tank based on your usage and location. We can help you select the proper monitoring devices such as remote gauges that now allow you to check your tank level with your cell phone. 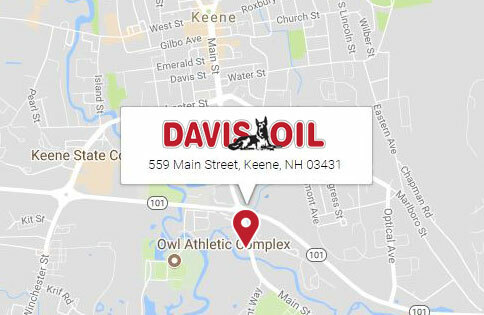 Davis Oil stands behind your oil tank installation 100% parts and labor for one full year after installation. After that, the manufactures warranty is in full effect. Oil tank replacement should be left to the professionals. Davis Oil is fully insured for this task. We will have the best equipment available on your site the entire time of the installation. Our service techs have decades of experience in replacing oil tanks. Your oil will be completely pumped over filtered from your old tank into your new tank. We will perform this work with no mess left behind!! Oil Tanks should be serviced. You can extend the life of your oil tank by having us clean it periodically. We have the machinery necessary to remove any impurities from the bottom of your tank with our Hamco Oil Tank Cleaning Machine. This process usually takes two men just over an hour to do and has many benefits. This machine takes out all of the imperfections located on the bottom of your tank where the most active corrosion occurs. Contact us for more details or visit Hamco’s site at hamco.com/cleaning. We can also assess your oil line. The oil line connects the oil tank to your furnace or boiler and is made from copper. Oil lines that travel into the cement floor without being in a sleeve should be discontinued and a new one installed. If you see that your oil line is green in color where it goes into the floor, you should call us right away. We recommend cleaning your oil tank. Contact us to schedule your oil tank cleaning. Talk to us and start the conversation about how Davis Oil can help you with your oil tank needs.